You can rapidly increase your frequent flyer points balance by doing more of your shopping online. I earn up to 10 Qantas and Virgin Australia Velocity points per dollar when I buy clothes, shoes, and personal and household items online – and when you consider how much money you spend on these items each year, the points add up very quickly. many retailers offer free and simple shipping and returns – people who haven’t tried online shopping often think it’s hard to send things back, but that’s not my experience. Online shopping has grown massively in recent years, with a huge range of products now available. Both Qantas and Virgin Australia have relationships with many retailers, which allows their frequent flyer members to earn points – so it’s a win-win for everyone. 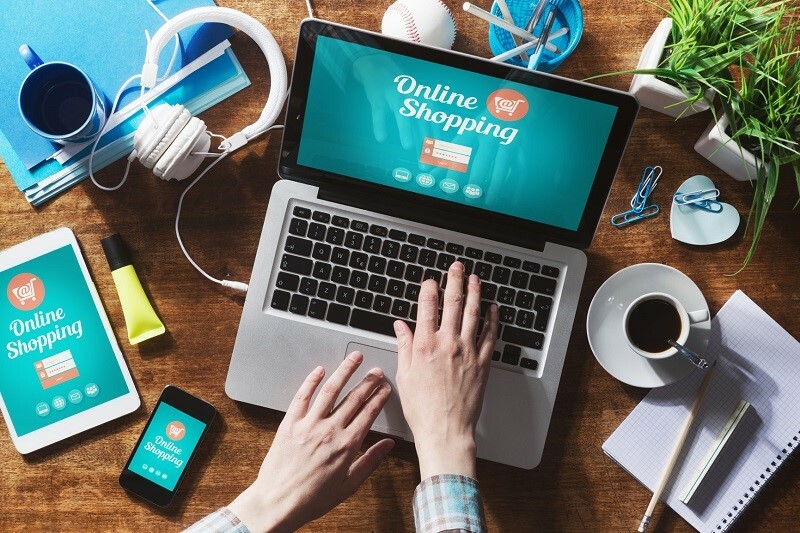 To maximise your points earn, all you need to do is connect to online retailers via the Qantas Mall and Virgin Velocity eStore. It’s very easy to do – just go to the Qantas Mall or Velocity eStore, log in and follow the link to the retailer you want. You’ll need to make sure cookies are enabled on your browser (you can check here). You then shop with the retailer in the usual way and Qantas/Virgin will track your purchase, with the points deposited in your account within 30 days. Note that the Velocity eStore has a much bigger range of retailers but Qantas tends to offer more points per dollar. It’s wise to check both sites before choosing which to click from. and lots of other stores in other product categories as well. To maximise how many points you earn, shop during the regular promotional periods where Qantas and Virgin offer double points or more – as much as 10 points per dollar. To find out when they are taking place, check the websites regularly and subscribe to the relevant newsletters from Qantas and Virgin Australia. Always make sure you pay with a high points earning credit card to really ramp up your points balance. I earn tens of thousands of points each year this way. Of course, if you’re a big spender you can earn much more than that!